The Peavey PV 20 USB features built-in DSP effects with multiple reverbs and delays, plus vocal enhancer and much more, while a USB port allows direct connection to a USB-equipped computer for recording from the mixer or playing back digital audio (compatible with Mac OSX, Windows XP, ME & 2000). 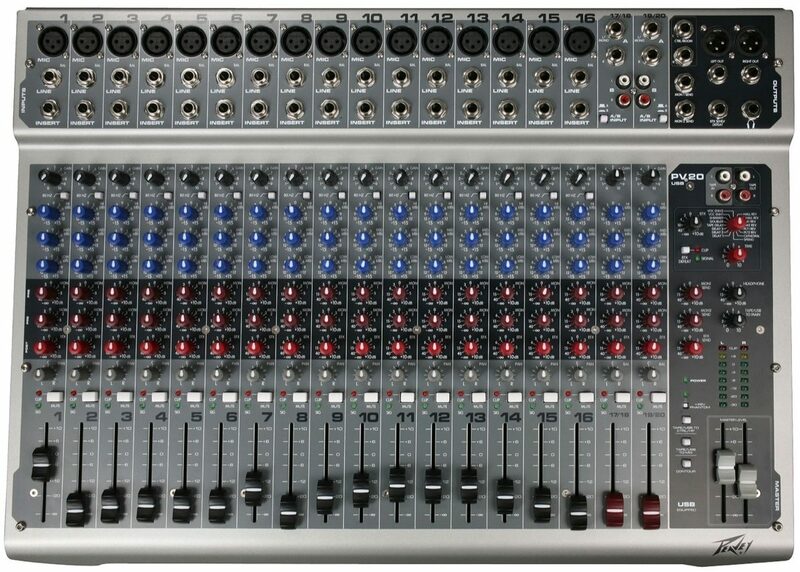 It also includes pre-fader monitor sends; post-fader effects send; inserts on all channels; and dual, switchable line inputs on the two stereo channels. All PV Series mixers include our Tape to Control Room and Tape to Mix assigns, which allow the operator to monitor an external stereo signal without using any of the mixer's channels. 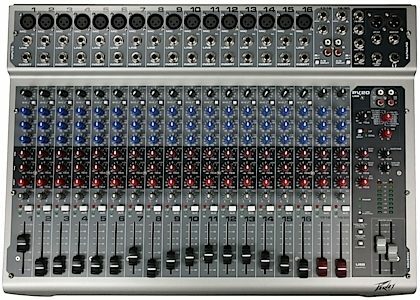 In addition, the mixers' Control Room output sends a stereo master output signal to an external source for monitoring. Phantom power, effects send and a contour switch are also standard on all models.